It’s advantage Surrey Scorchers at the halfway point of the BBL Play-Offs Quarter-Finals. 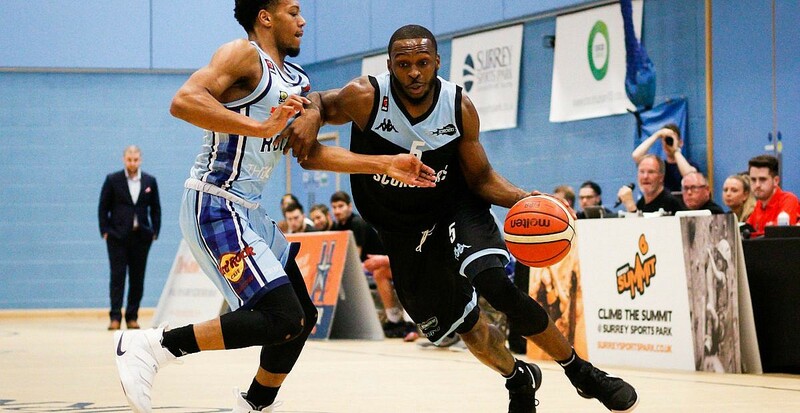 Surrey Scorchers will take a two point advantage up to Glasgow, after a thrilling 84-82 first leg victory over the Rocks in the BBL Play-Offs Quarter Finals. Despite defeat, the Rocks will head home full of confidence having led until the dying moments of the contest. Turning point – The home side produced a decisive 11-5 run to close out the contest and claim a slender advantage, in a game in which they trailed for much of the night. Key stat – Surrey found their way to the free throw line on a regular basis and took full advantage of the opportunity – connecting on 19 of 21 attempts. Game hero(es) – Tony Hicks poured in a game high 30 points on just 11 field goal attempts. The star guard also added 7 assists, 4 rebounds and a pair of steals.